In 2001, Merck & Co., Inc. (Kenilworth, NJ, USA), which operates as MSD outside of the U.S. and Canada, established a Privacy Office to develop and oversee a global privacy program for our operations around the world. Our program is based on four privacy values that provide the foundation for responsible engagement, interactions and use of information about people: respect for individual privacy expectations, building and preserving trust, preventing privacy harms, and compliance with the letter and spirit of privacy and data protection laws around the world. Our privacy program is built on a platform of organizational accountability for privacy, stewardship of the data we use to operate our business, consistent global privacy practices and standards that carry on our tradition of upholding high ethical standards across our business practices, and ongoing oversight to ensure that we continue to respond to changes in privacy expectations as technology and our business continue to evolve. For more information about our program, please see the global privacy program section of our corporate responsibility report. Learn about your rights as a data subject. 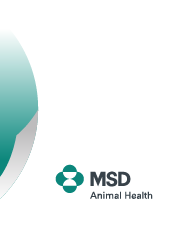 © 2018 MSD Animal Health. This site is intended solely for information purposes for people residing in GB. Please contact your veterinary surgeon for further information.